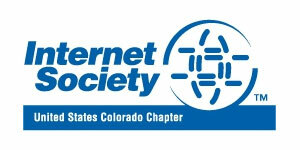 The Colorado ISOC is sponsoring the North American 2012 IPv6Summit. The conference will be held April 9-11, 2012 at the Grand Hyatt Denver Colorado. IPv6 networking professionals from all over the world will be attending. This will be the largest IPv6 conference in North America in 2012. The Colorado ISOC leadership team (Chris Grundemann (Chair), Joshua Sahala(Vice Chair), Karen Mulberry (Secretary), and Ognian Mitev (Treasurer)) and other members are actively involved in the event planning and coordination. The first day of the event will be optional pre-conference tutorials. Chris Grundemann will be one of the instructors teaching the IPv6 fundamentals class. Advanced IPv6 class will be also available. The second day will contain a single track. These sessions will be the keynote presentations from the IPv6 industry leaders who will share their knowledge and experience on IPv6 deployments. At the event, the Colorado ISOC will have a booth. Attendees will have the opportunity to learn about the ISOC initiatives, share ideas, ask questions, or just connect with existing members. The Colorado ISOC is excited to participate in the promotion of IPv6 and to work on educating the community on IPv6 and its benefits. This entry was posted on Saturday, February 23rd, 2013 at 5:54 pm	and is filed under Press. You can follow any responses to this entry through the RSS 2.0 feed. Both comments and pings are currently closed.